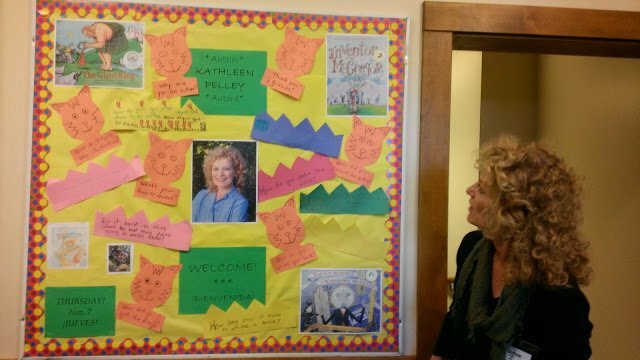 Thanks to all the staff and students at the wonderful Harris Bilingual Elementary school in Fort Collins for giving me such a warm welcome! And thanks to the lovely Laura Resau (a talented and prolific author of middle grade novels) for organizing the visit. Susie Krabacher is the founder of Mercy and Sharing– a wonderful organization that has been helping abandoned and disabled children in Haiti for twenty years. 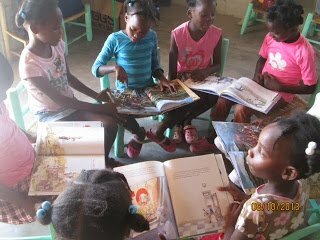 Recently she sent me a few photos of the children in the orphanage reading some of my books!